When you're hosting a get together, it's best to have buffet-style sides that pair well with most entrees. 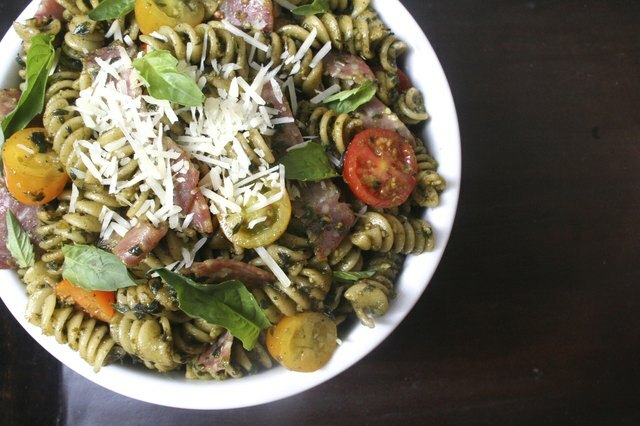 And if your party is taking place in the warmer months, then this pesto pasta salad is ideal: not only is it full of flavor, but it also complements the likes of hearty meats and fresh seafoods. Spread out a tablecloth and open an umbrella, because you're about to have a meal that is sure to win over any crowd. Warm a small skillet over medium heat. 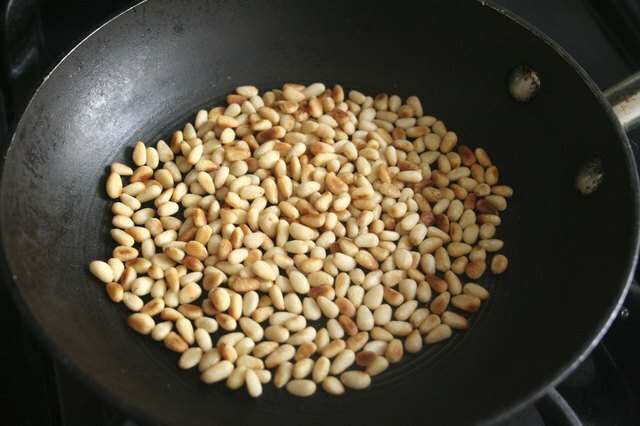 Once hot, add the pine nuts and toast them for one to two minutes, or until they're golden. Make sure to flip the pine nuts frequently. Place the basil, garlic and toasted pine nuts in a food processor, and then pulse the ingredients together for about 20 to 30 seconds. If you have a small food processor, break up the ingredients into two separate batches. Gradually add the olive oil to the food processor and pulse to combine, or for about 30 seconds. Be sure to scrape down the sides of the bowl as you go. 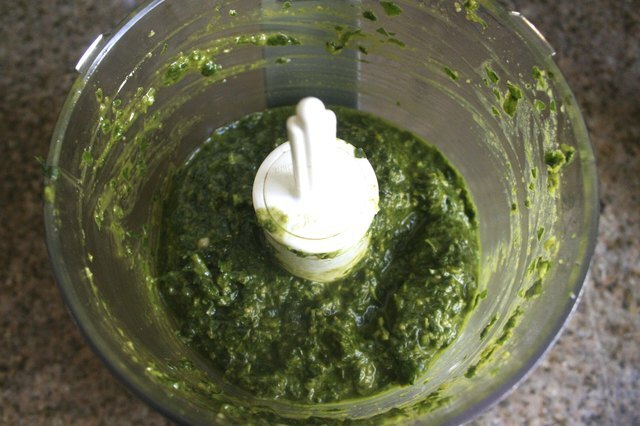 Remove pesto from the food processor and transfer to a small bowl. 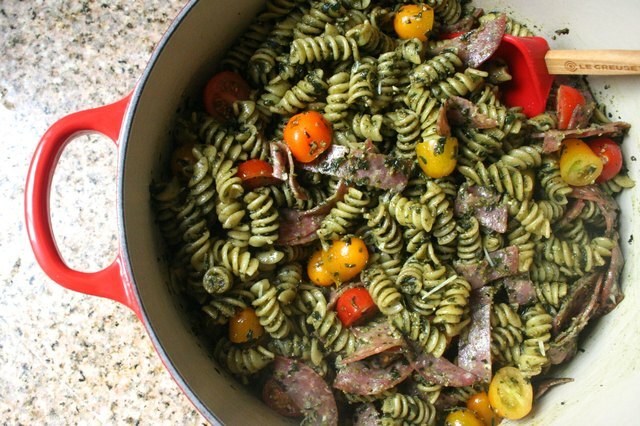 Mix in the grated parmesan, and set the finished pesto aside. 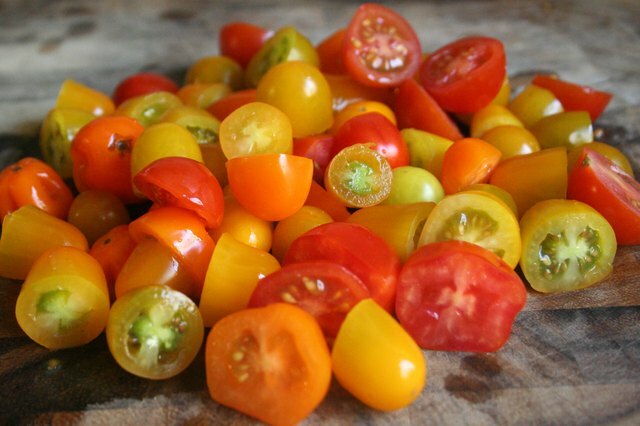 Cut the cherry tomatoes in half, then set aside. 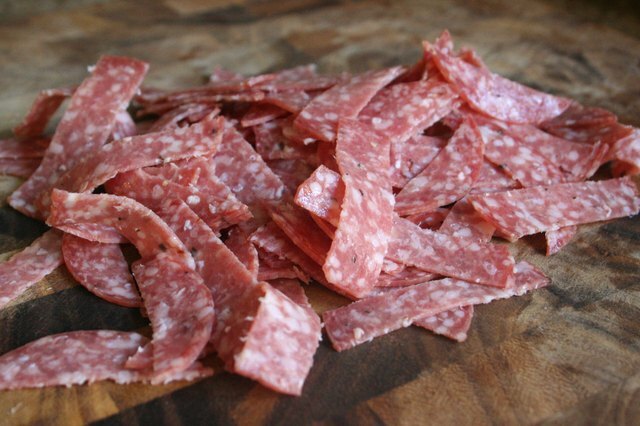 Slice the salami in strips, then set aside. 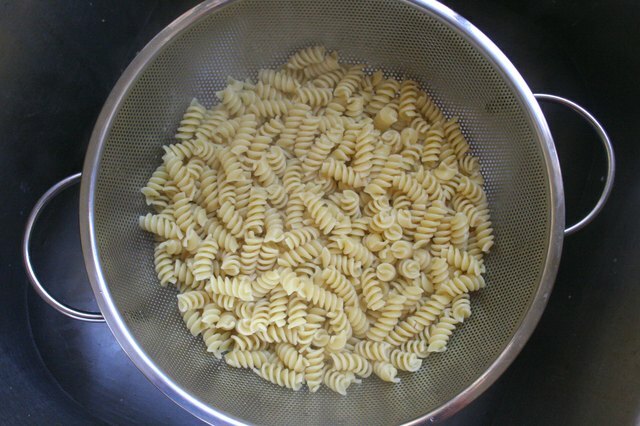 Bring a large pot of water to a boil, then add rotini pasta. Cook until a little softer than al dente, which is about 10 minutes, or to taste. Strain the pasta. Return the hot pasta to the large pot. Add the pesto and mix thoroughly. Then, pour in the halved tomatoes and sliced salami, and mix everything together. 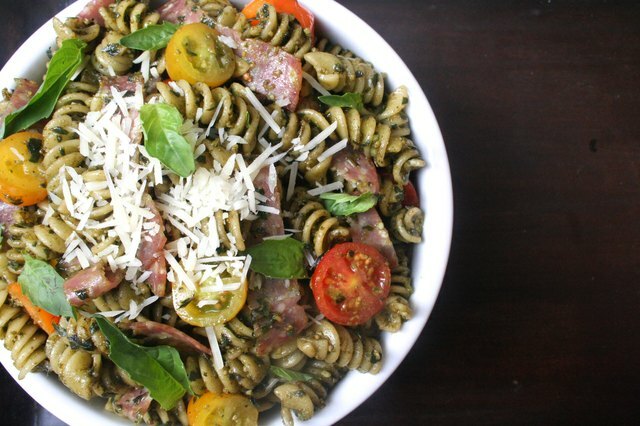 Bring the pasta to room temperature, or chill in the refrigerator for one to two hours. 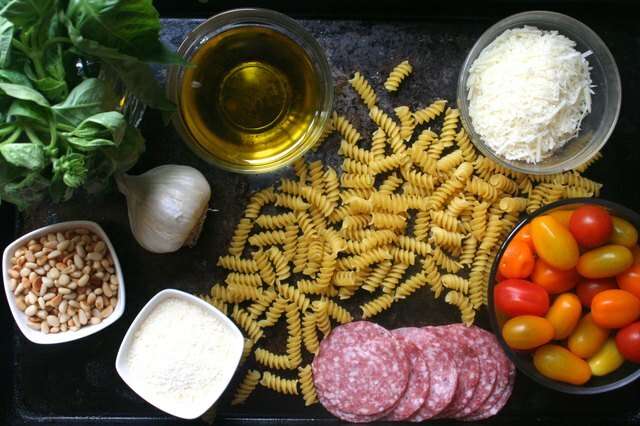 When you're ready to serve the dish, garnish it with shredded parmesan and toasted pine nuts.